A fair Alaskan white granite price is about $35 per square foot. When selecting an Alaskan white granite slab, you really need to look for a constancy of color, because some tend to look yellow or have an uneven color. This is particularly important for very large kitchens, requiring more than one slab to complete the job. If you’re looking for an attractive yet affordable granite, Alaskan white is a winner. One particularly eye-catching option is the elegant Alaskan white granite variety. Featuring a white background with a lot of deep gray veining, Alaskan white granite works well in a lot of kitchens and is sure to get people talking. Here’s what you need to know about how to decorate with Alaskan white stone. Alaskan white is one of those granites that goes with a lot of different cabinet colors, although some do work better than others. 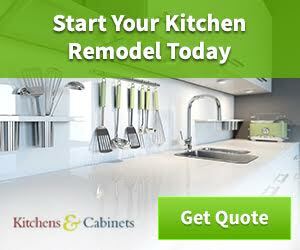 Perhaps the most striking kitchens feature white, black, or gray cabinets because they blend so well with the natural colors in the countertops. Another very nice option is a deeply stained dark wood, which provides a nice balance between the light colored granite. Light woods can be incorporated in the flooring, as can a lightly colored gray tile. For the walls, bold colors go great with Alaskan white; depending on your cabinet choices, consider going with a deep red or cheery yellow to offset the color of the rest of the kitchen. Another way to complement your Alaskan white countertops is by opting for all stainless steel appliances for a clean, modern look. Brightly colored kitchen appliances to match your wall color are a nice way to bring out those tones in the room without detracting from the counter’s beauty. For a really chic look, go with black or gray surfaces, white or gray walls, stainless appliances, and gray or black countertop appliances for minimalism at its finest. Granite is quite durable and resistant to damage, but it still requires a bit of attention to keep it in optimal shape. Clean the surface regularly with vinegar and water, and avoid heavy abrasives to keep the surface pristine. You should also refrain from using your counter as a step stool in any form or fashion because natural stone countertops can break or crack from time to time. Any overly hot pots and pans should be placed on trivets or potholders to prevent damage. 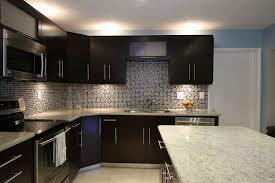 For a more thorough guide on granite maintenance click here. Alaskan white granite is a lovely accent or finishing touch to your kitchen, increasing the value of your home and the visual appeal of its interior as well. This versatile stone looks great with a variety of styles and colors, making it one of the best granite choices available for countertops. Taken care of properly, Alaskan white granite can last for decades and maintain its beauty for the duration. Want to check out some more white granites? 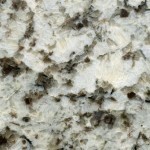 View this article http://countertopshq.com/white-granite-colors/ which highlights some of the other popular whites.